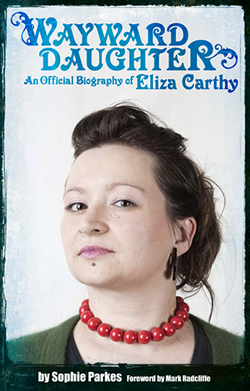 Wayward Daughter: An official biography of Eliza Carthy: It's launch day! And we're completely sold out! For those of you who managed to get a ticket, we'll be seeing you later. Remember that we're starting pretty much on the dot at 7.30pm, as we've got a packed evening to get through. And for those of you that didn't, we're really sorry. We'll let you know if there are any returns.